I just avoided spilling a full cup of coffee as I tripped over a power cable. Miracle! 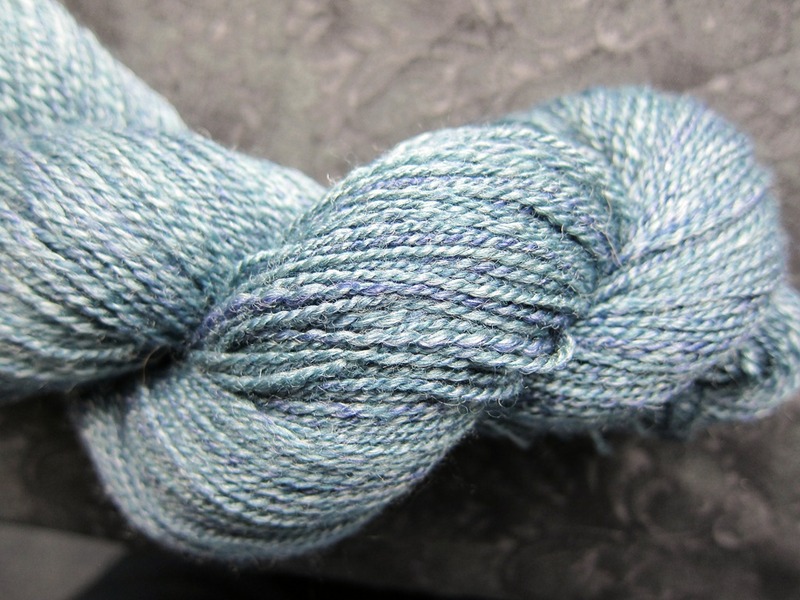 Also a miracle, I have finished (sort of) the swatch for my handspun shawl. It was delayed by two full froggings, three partial froggings, a sudden spurt of spring cleaning, and a kayaking trip. 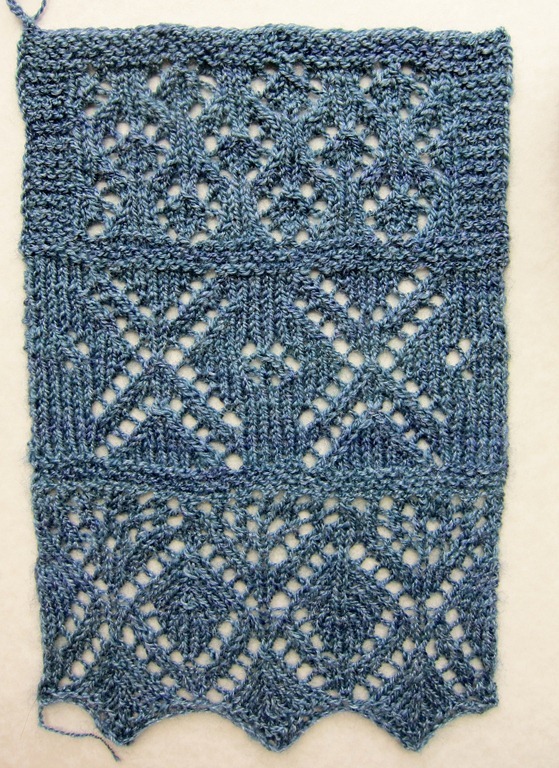 The swatch is about half the number of stitches of the finished design but has all the right elements in it. 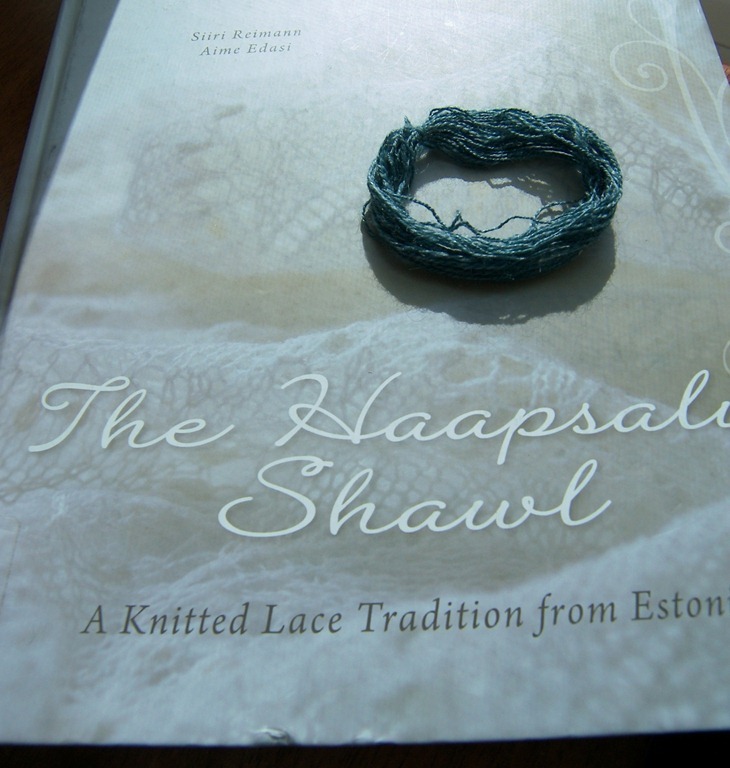 The bottom pattern is from Nancy Bush’s Knitted Lace of Estonia; the middle and upper pattern are from The Haapsalu Shawl. 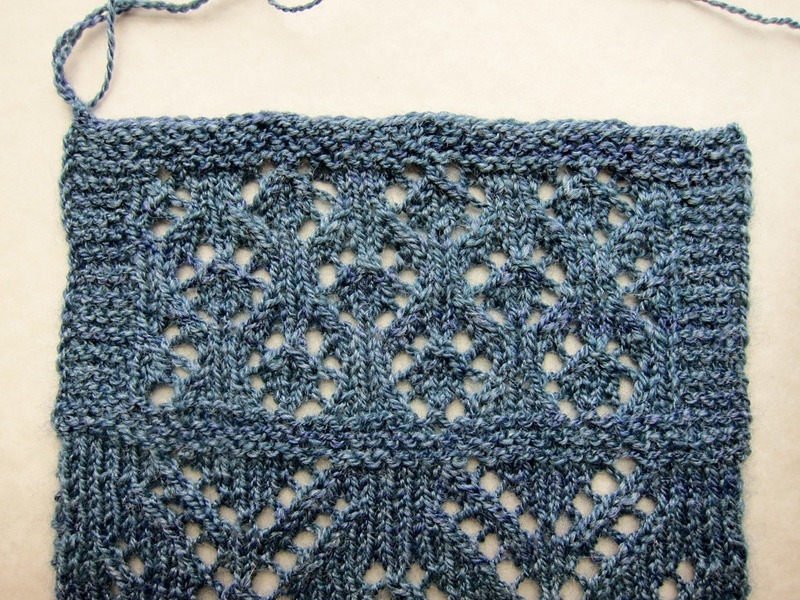 The upper pattern (one of the numerous “paw” patterns) will be most of the shawl with garter borders. 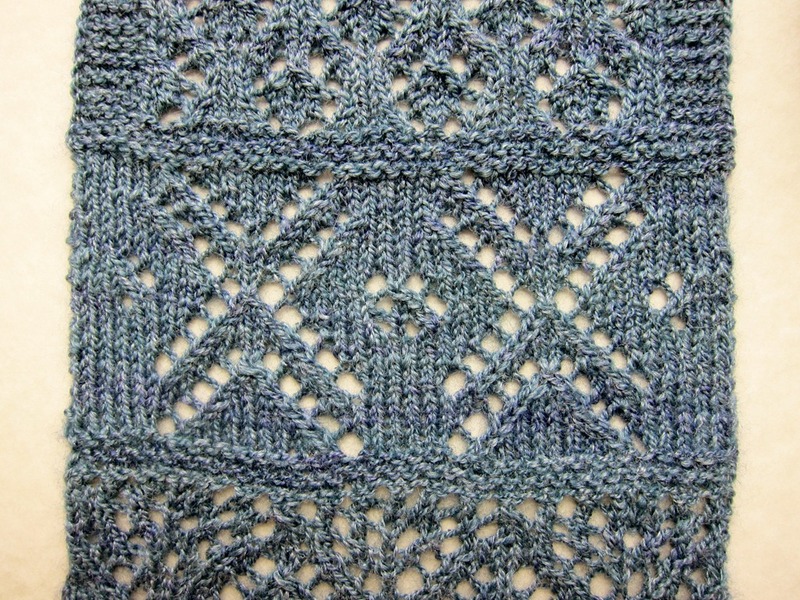 I won’t be putting a traditional border around the whole shawl- I like the slightly modern look of a straight-edged shawl. 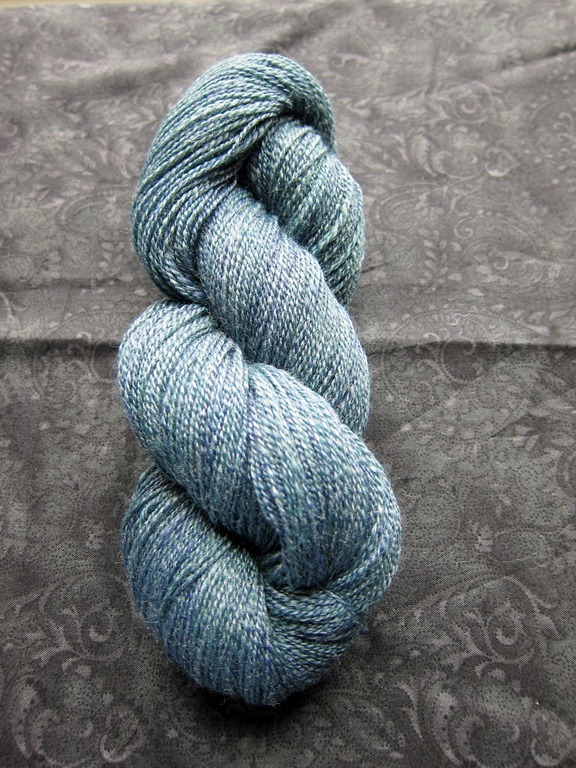 And I think knitting a border for a 60×20 inch shawl would kill me. Literally. I would keel over from sheer boredom just trying to pick up all the stitches for it! Here’s the problem: I’m not sure I’m happy with the look of the thing. I’m pretty happy with the general layout and patterns I chose (which wasn’t easy!) I’m not entirely certain about the paw pattern, but I’m not going to revise the whole thing again. 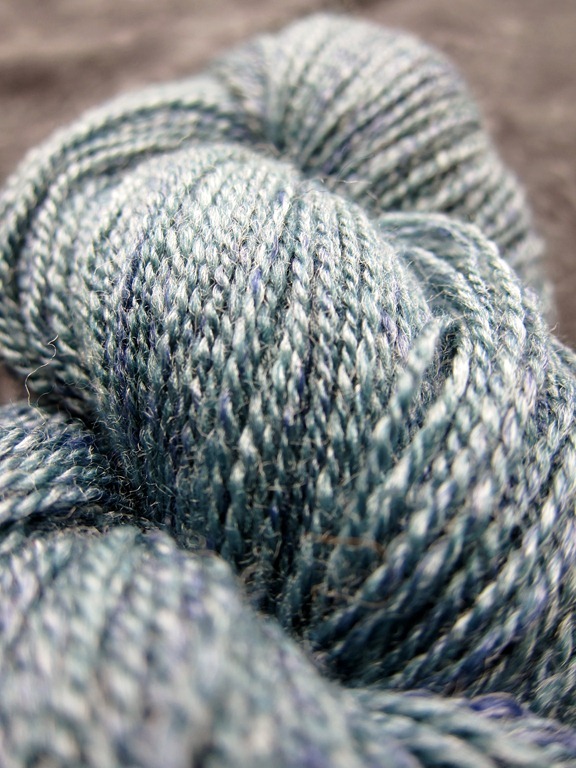 The drape is lovely and the yarn is great. But I’m not sure if it’s lacy enough. Is it too… solid? Not enough space between the strands of yarn? 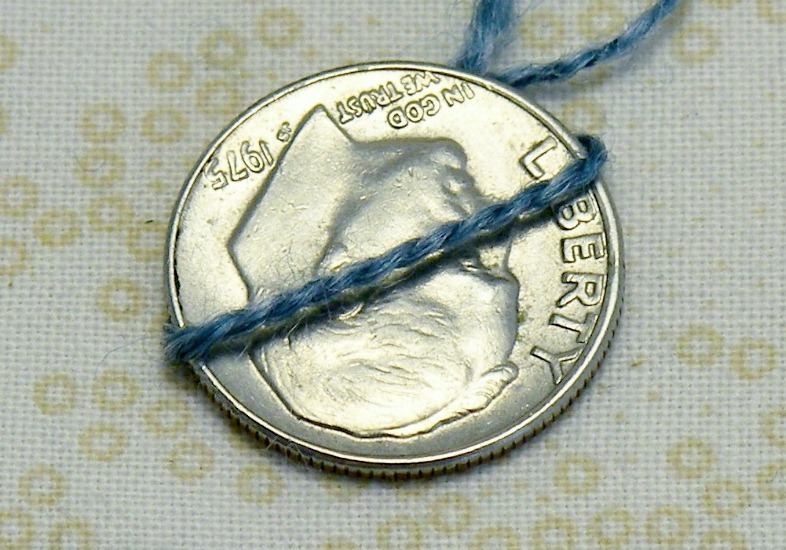 As it stands, the swatch gives me about 6 stitches to the inch. 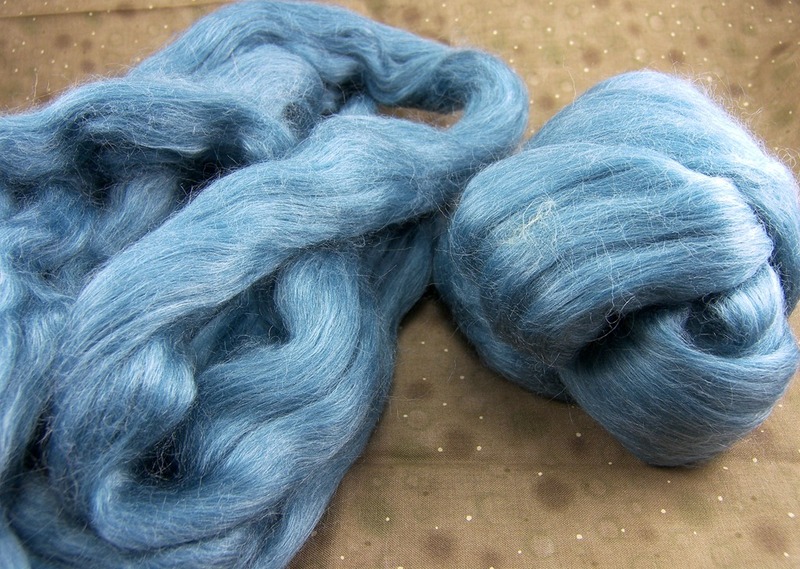 That should make the whole shawl about 14 inches wide. 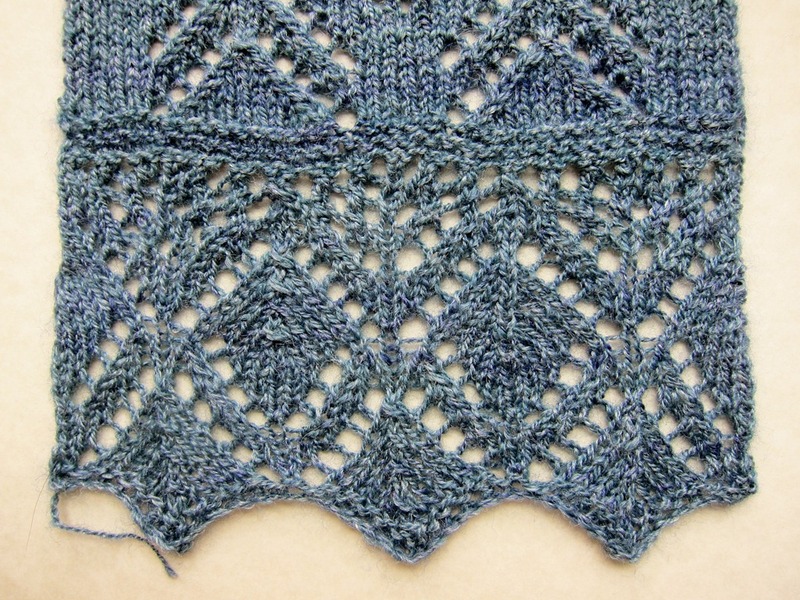 I’m debating casting on with a set of size 5 or 6 needles for the actual shawl. 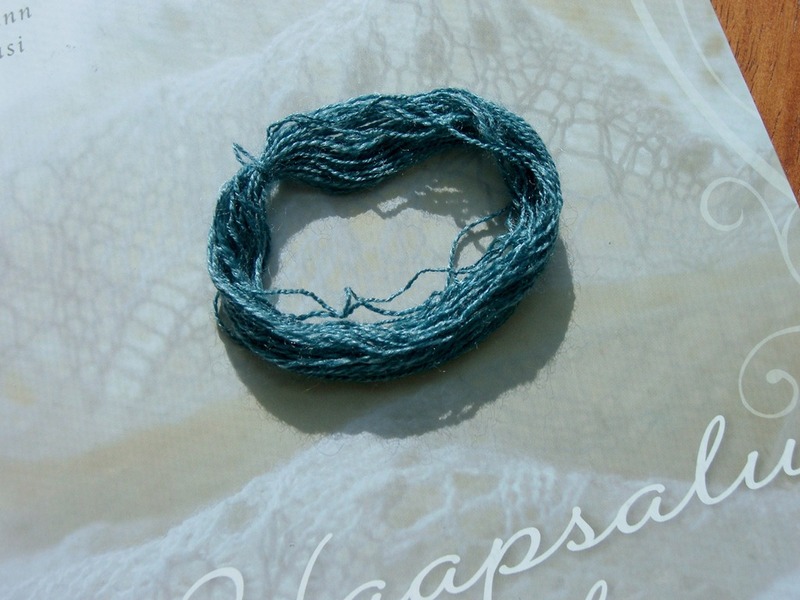 That should both make the shawl lacier and wider. I’m not planning on re-swatching, though (yes, I live dangerously). I’ve had enough of swatches! I’m just not sure… part of the problem is that I don’t have a set of 5s or 6s. If I like the way it looks now, I can start the shawl immediately. But if I want to use bigger needles, I have to sneak out to the store, which isn’t really close by.